On Day 17 of the #DAI #Hello blog series for #WAM2018, we introduce you to a group of people who live in a residential aged care facility in New Zealand, called the Selwyn Singers. 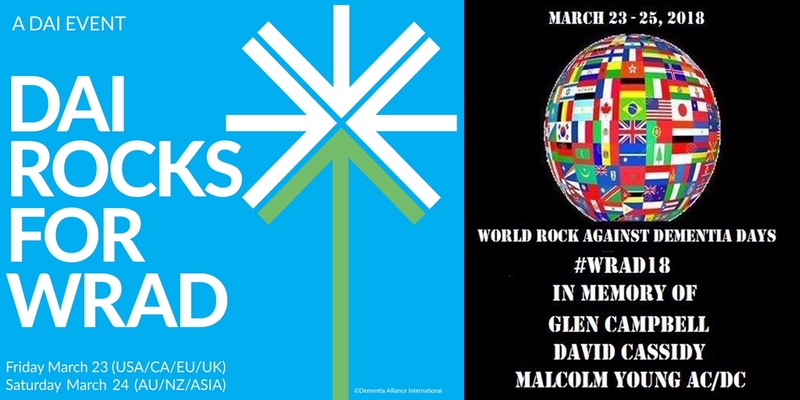 Instead of highlighting one member, we wanted to highlight this group, and their performance which was recorded especially for DAI’s very first World Rocks Against Dementia #WRAD2018 event held in March. This wonderful group of Super Stars (the singers) are Mary Bubs Johnson, Erick Deverick, Lois Jackson, Valerie Harris, Barbara Manterfield, Dorothy Mayo, Lillian Neilson, Jill Renner, Julie Mellsop and Airlie Seay. On the day of the recording, they were supported by staff, including the Diversional Therapist Annaleise Van Ham, the Activities Coordinator Alice Halavaka and the Group Diversional Therapist Orquidea Tamayo Mortera. We thank them all for being involved and sharing their lives through their beautiful singing. The group is made of residents living in care homes such as; our memory support home, our hospital care home and our residential care homes. They practiced for a good 3 months to get the song right J knowing that it was going to be showed to a very special group of people across the planet. It was very meaningful as Selwyn Village is the home for almost 700 older adults and this special group needed support to meet in the village community center, as they were coming from all different homes on the day we filmed it. Dementia Alliance International (DAI) certainly rocked for dementia this year, and we feel sure those in the audience were glad they did not miss our first event for #WRAD. This picture is of DAI member, Graeme Atkins, who opened our event with a live performance of a song he wrote especially for DAI. DAI’s #WRAD2018 was a fun, emotional, poignant and revealing event, and one which helped us raise just over $800. 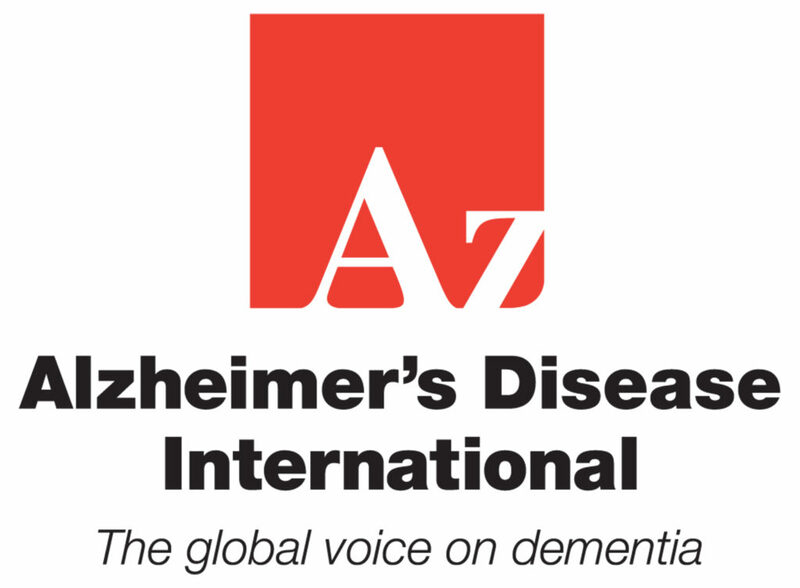 This amount covers the cost of two registration fees to ADI Chicago for two couples (the registration to attend is $400 for a person with dementia and their care partner). It also highlights just how much we need to do to raise funds to support our members to actually get there, as the funds for travel, accomodation, taxis and other incidental expenses will be high. Below, we outline the final program, which was not completed until two hours before the event, as the husband of one of our board members Dubghlas Taylor was involved in a live performance the night before we wanted to include; it was recorded especially for DAI’s event. Please keep reading (or scrolling) to the end of this blog, as with permission, we have added the song, Only One, performed by Dan Greenwood. DAI is indebted to the work of our IT developer and DAI member Michael Belleville for his expertise and hard work in putting together the pre recorded performances, and to our leadership team for the many hours of work this has taken. Our DAI family just ROCKED FOR WRAD 2018 for almost 2 hours! 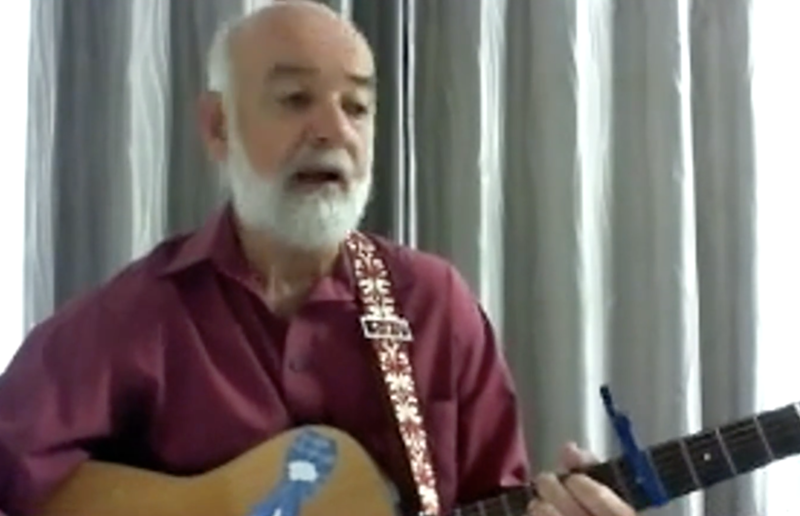 DAI especially thanks the musicians and producers for providing us with the performances and their consent for us to use them, and very special thanks to DAI member Graeme Atkins for writing a song for DAI, and performing it live. Thanks to those members who promoted the event, who attended, who donated, and who supported it in anyway. 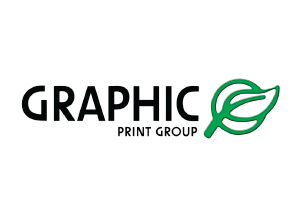 Working together, we have shown just what can be achieved. Please note, due to the copyright of most of the songs today, we had to ask that noone record it in any way, including taking screen shots, or by audio or video. If any of our performers are willing to allow us to add their performances onto our website or YouTube channel, please let us know. Jerry Wylie, our Vice Chair was our MC for this event. Special thanks to Jerry! We started the event with a short digital story that includes music and imagery, written and produced in 2008 by Kate Swaffer called Dementia: My Story. 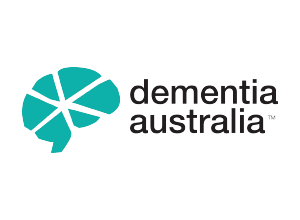 Kate is a founding member of Dementia Alliance International, and is our current Chair and CEO. She was a nurse in her first career, and this short piece was made soon after her diagnosis of younger onset dementia at the age of 49, when she felt as if her world was disappearing. It highlights the darker side of receiving the diagnosis, which so many of us feel when first diagnosed. DAI felt it was an important way to lead us from what feels like the end of your life (being diagnosed with dementia), into living with dementia and the beautiful performances and tributes at our first DAI WRAD event. Through DAI, we try to highlight how you can learn to live, or as Kate would say, beyond dementia, and much more positively than anyone is ever told is possible. Graeme Atkins performs and sang for us via zoom, singing a song he wrote especially for DAI, called, “We are Dementia Alliance International.” He is a truly inspirational man and member of DAI, and has written many songs about the highs and lows of living with his own diagnosis of dementia. He and his wife have co presented at many events and conferences in Australia. Lorne Pearson was inspired to write this by a friend who had some mental disabilities, but who always managed to keep a positive mental attitude. It talks about being thankful for what you do have and appreciating the little things in our lives that we sometimes take for granted. The Waltz was written in honor of his father Steve who has been living with Alzheimer’s for 6 years. It speaks to when he was a child and his dad used to take him camping. This project was one of the last music videos John produced as an animation instructor in the Detroit Public Schools. “A Hidden World” was funded by a grant from Van’s Shoes Custom Culture Arts Grants. The project was coordinated with the Afghan Women’s Writer’s Project. The AWWP creates opportunities for women in Afghanistan to learn to read and write. It is illegal for most women and girls to go to school in Afghanistan, which demands that AWWP operates in secret. The text of the song was written by a woman in Afghanistan. Students participating in the program in Detroit participated in the “Love and Forgiveness Project” facilitated by Dr. Suzane Scarfone from the AWWP. The music was composed by the American Composer Marilyn Perkins Biery. The composition is dedicated to Perkins Biery’s sister, Janet, who is living with a dementia diagnosis. The music is performed by soprano soloist, Carol Ambrogio Wood; and a student ensemble from the Detroit School of Arts. The original artworks were created by students at Detroit School of Arts in the Spring of 2014. The animation was co-directed by Academy Award Nominated director Gary Schwartz and world renowned puppetmaster, Shoshanna Utchenik. At the time John began the project he did not know that he also had a dementia diagnosis. It is fittingly symbolic that one of his last projects produced as an educator was dedicated to someone living with dementia. “A Hidden World” speaks to the isolation and exclusion felt by women in Afghanistan seeking an education and also the isolation and exclusion often felt by people living with dementia. Hopefully, the project speaks to the breadth of the human heart and the strength, courage, and determination we seek in overcoming obstacles in our life journey. Dr Allen Power, MD is a board certified internist, geriatrician, and newly appointed Schlegel Chair in Ageing and Dementia Innovation at the Schlegel-U. Waterloo Research Institute for Ageing in Ontario, Canada. He is also clinical associate professor of medicine at the University of Rochester, New York, a Fellow of the American College of Physicians / American Society for Internal Medicine, and an international educator on transformational models of care for older adults, particularly those living with changing cognitive abilities. Al Power is also a trained musician and songwriter with three recordings, including Life Worth Living: A Celebration of Elders and Those Who Care for Them. His songs have been recorded by several artists and performed on three continents. Peter, Paul and Mary performed his song of elder autonomy, “If You Don’t Mind”, and Walter Cronkite used his song, “I’ll Love You Forever” in a 1995 Discovery Channel profile of American families. Dan is a former jazz musician, and dementia consultant and speaker in Australia. This is an original song written and produced by Dani, which was also used in the movie Danny Deckchair. See her profile on LinkedIn to connect with her. Orquidea Tamayo Mortera recited ‘En Paz’ from Amado Nervo in Spanish, a beautiful poem about acceptance and love. “What a Beautiful World” by The Selwyn Foundation Singers from Auckland. This song was performed by the daughter of one of our board members, also a mother with younger onset dementia, and the granddaughter of someone who has died from Alzheimer’s Disease. Rhonda originally worked as a nurse, then became an eminent academic in dementia, and is an author and great friend to DAI, having presented to our members on a few occasions at our monthly webinars. She has published a wonderful book called From Career Woman to Crippled and Beyond: A journey of loss, longing, leanring and laughter. This song was written and performed by Veda Meneghetti, and recorded and edited by Louise Hughes and Linda King in 2010. Veda Meneghetti is a retired rock musician and songwriter. She’s a life member of the Australian Performing Rights Association. Veda was well-known in Australia in the mid 80s, as part of the all-girls band The Party Girls. They were the only girls band out of 20 Australian bands selected to open the 1st leg of Aid for Africa 1985, the first of many world simulcasts organized by Bob Geldof. Veda worked for 45 years in the music industry, touring in Asia, Europe and Africa, and gigging around Australia. She wrote and recorded her last 4 songs in 2010, 2 years before her final diagnosis of logopenic Primary Progressive Aphasia. Although it’s getting harder for Veda to find her words, she hasn’t stopped communicating. Veda is a member of DAI and officially launched the Kiama Dementia Friendly Community project in July 2014. She has done a number of public presentations over the past few years, as an advocate for the rights of people living with dementia. Mark has been involved in a “Life In Song” project. Since 1976, he has been obsessively and compulsively writing songs. Some of them are inspired by his own life, and his attempts to understand love, life, spirituality, peace and justice. While I recently have started to get a little recognition, you may not have heard of him, but you can listen to his music on his website. The BaySamba group, also listed as Baysamba and Ruby Phoenix Tribe on Facebook, performing “Old King Cole.” The band includes Dubghlas Taylor, the husband of one of DAI’s board members, Eileen, from Queensland. It is a late notice addition to the program, as it was performed last night in Queensland, and recorded live for us today. Graeme closed our WRAD 2018 event with another live and original performance. With permission, we have added Danielle Greenwoods song, Only One, used in our event yesterday. Thank you Dan.